Finally one should add that in spite of the great complexity of protein synthesis and in spite of the considerable technical difficulties in synthesizing polynucleotides with defined sequences it is not unreasonable to hope that all these points will be clarified in the near future, and that the genetic code will be completely established on a sound experimental basis within a few years. 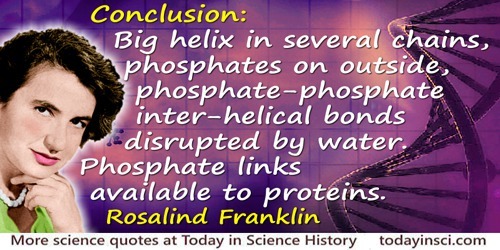 From Nobel Lecture (11 Dec 1962), 'On the Genetic Code'. 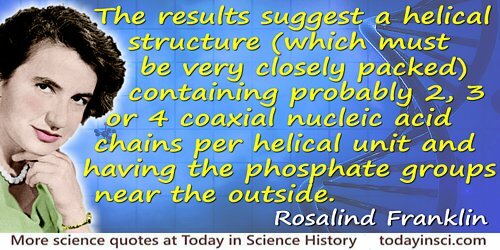 Collected in Nobel Lectures: Physiology or Medicine 1942-1962 (1964), 808. 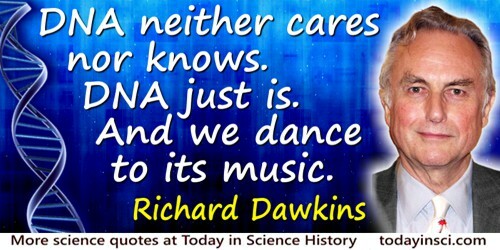 If the double helix was so important, how come you didn’t work on it? Eva Helen Pauling to her husband, Linus Pauling, when the Nobel Prize was awarded to Crick, Watson and Wilkins, at a History of Science conference (1990). Quote contributed by W. H. Brock, in W. F.Bynum and Roy Porter (eds. 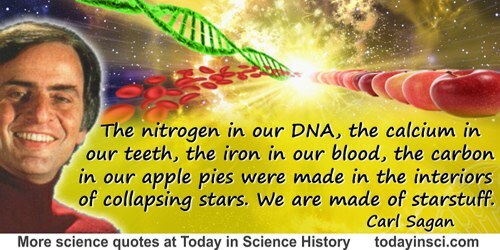 ), Oxford Dictionary of Scientific Quotations (2005), 485. 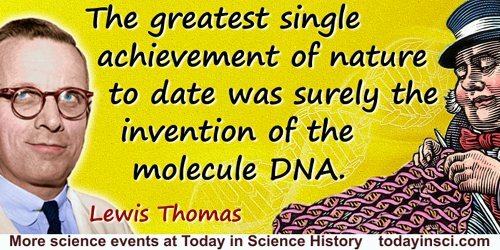 If Watson and I had not discovered the [DNA] structure, instead of being revealed with a flourish it would have trickled out and that its impact would have been far less. For this sort of reason Stent had argued that a scientific discovery is more akin to a work of art than is generally admitted. Style, he argues, is as important as content. I am not completely convinced by this argument, at least in this case. What Mad Pursuit (1990), 76. 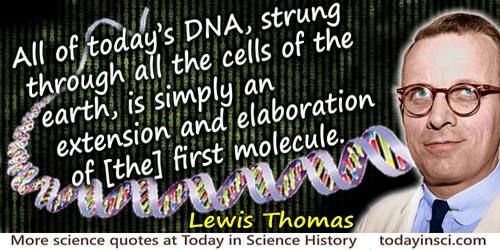 Rather than believe that Watson and Crick made the DNA structure, I would rather stress that the structure made Watson and Crick. In What Mad Pursuit: A Personal View of Scientific Discovery (1988), 76. Science is beautiful when it makes simple explanations of phenomena or connections between different observations. 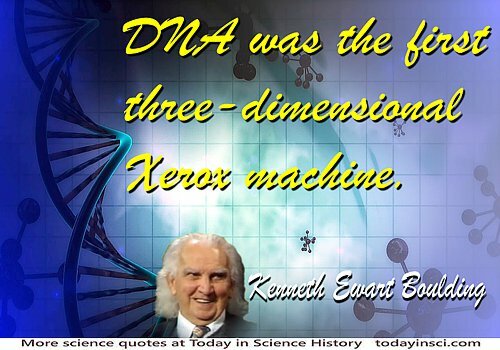 Examples include the double helix in biology, and the fundamental equations of physics. The Continuity of the Germ-plasm. The Continuity of the Germ-plasm as the Foundations of a Theory of Heredity (1885). 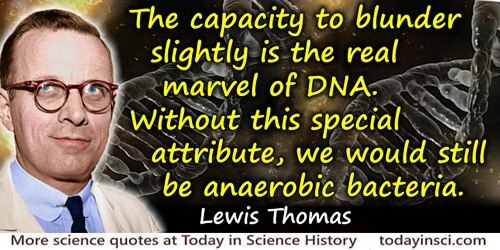 This was an early attempt to explain heredity, with the proposal of germ-plasm hereditary material present in eggs and sperm, that is passed from generation to generation. The subject quote is from the title of his first publication on this idea.